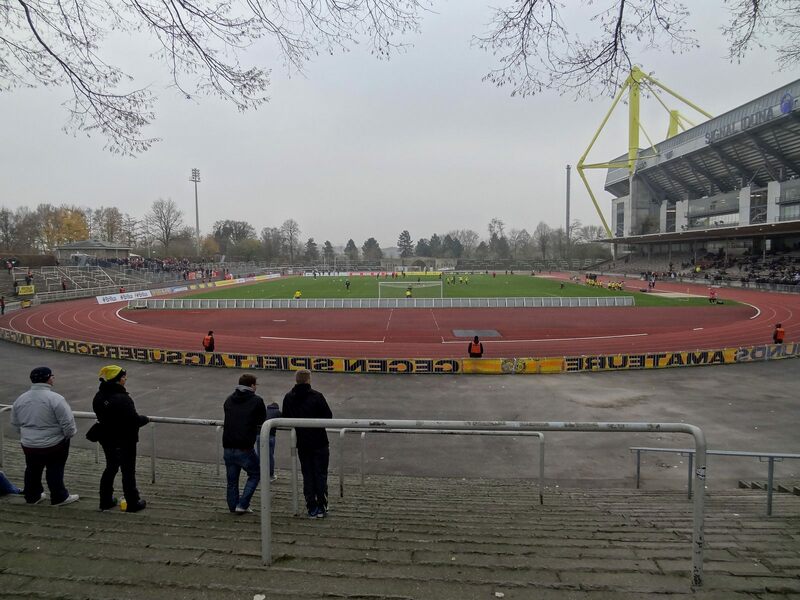 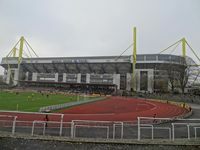 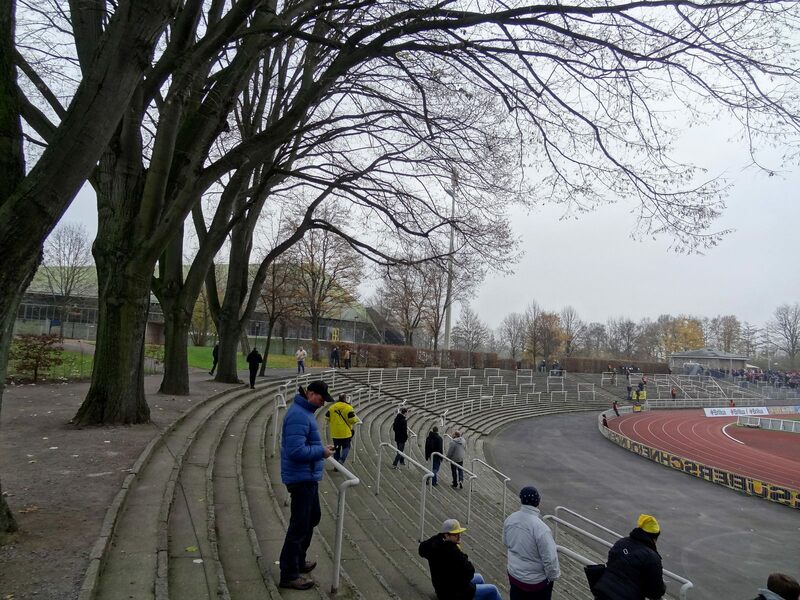 Built in 1926, this multi-discipline stadium in Dortmund played host to numerous sporting, political and religious events before being taken over by Borussia Dortmund in 1937. 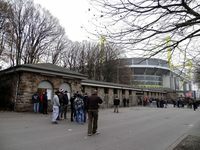 The team’s tenancy was disrupted very soon, though, by WWII damages. 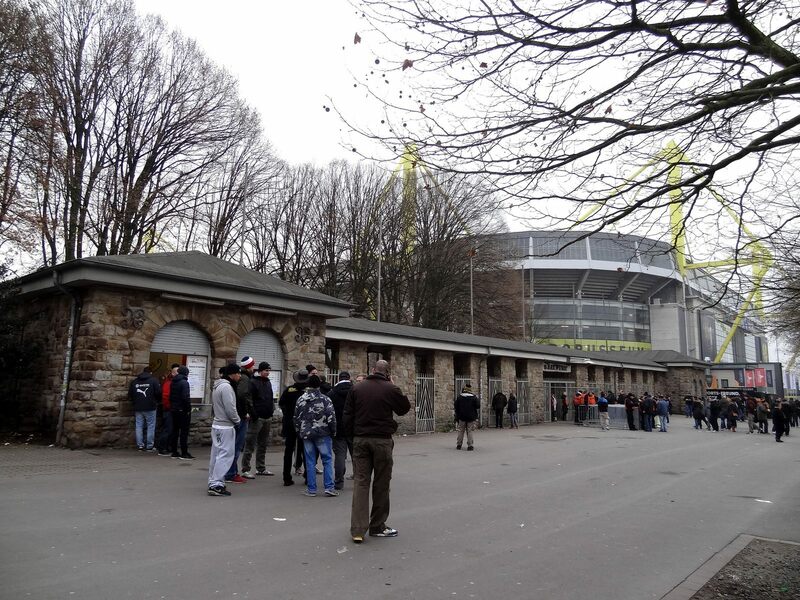 After the war stands were repaired and expanded, assuring high capacity in 1950s and 60s, topping at 42,000. 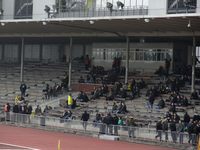 That size was later reduced to 25,000 and currently largest allowed crowd is 9,999 for safety reasons. 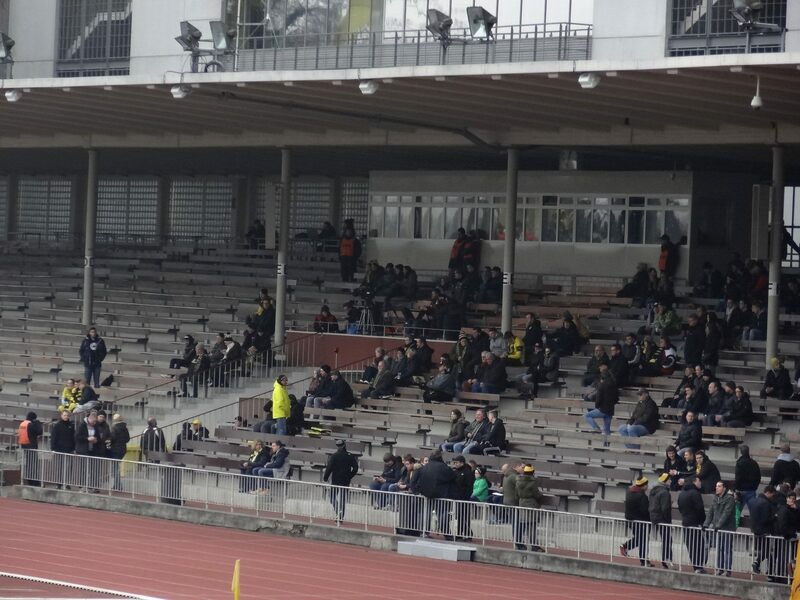 And while it’s used mostly by Borussia reserves or local semi-pro teams, the stadium doesn’t fill to capacity. 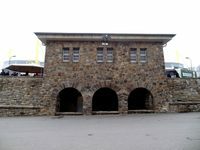 Since 2008 it’s a listed monument. 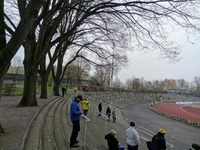 Aside of the stands, the listing includes stone walls enveloping the stadium, most notably the marathon gate in the south. 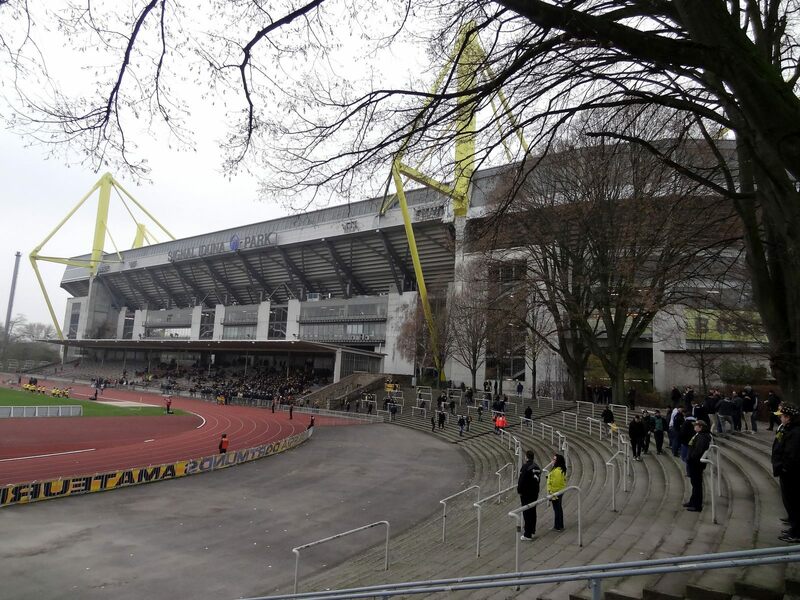 The historical image is somewhat spoiled by massive silhouette of the Westfalenstadion. 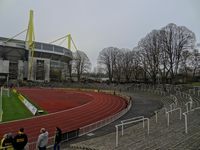 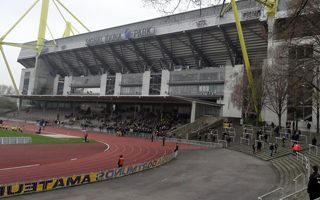 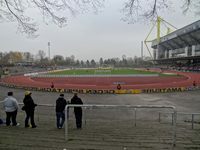 Borussia’s new home has been expanded to the level which makes Rote Erde’s western grandstand visually dwarfed, nearly consumed by the new stadium. 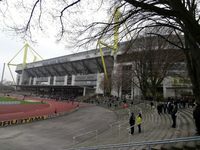 Four new additions from Germany join StadiumDB tonight. 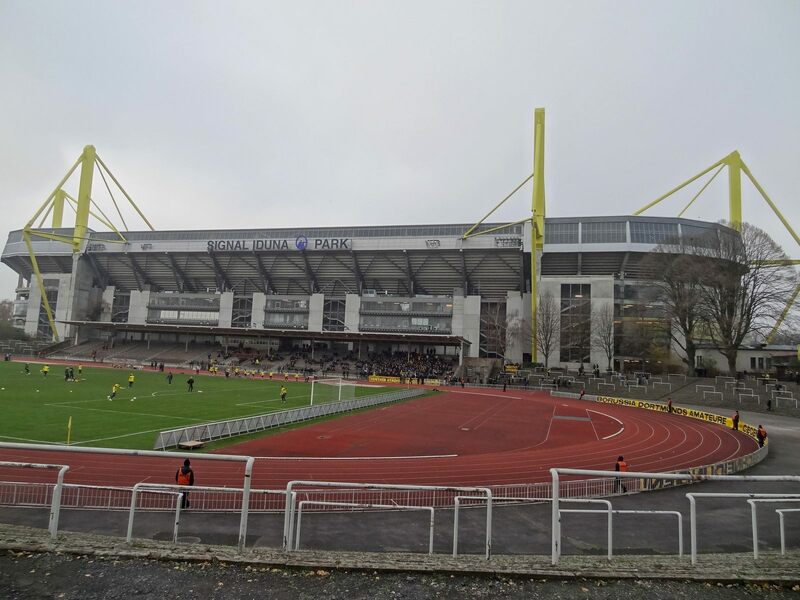 We recommend especially taking a look at Borussia Dortmund’s previous home. 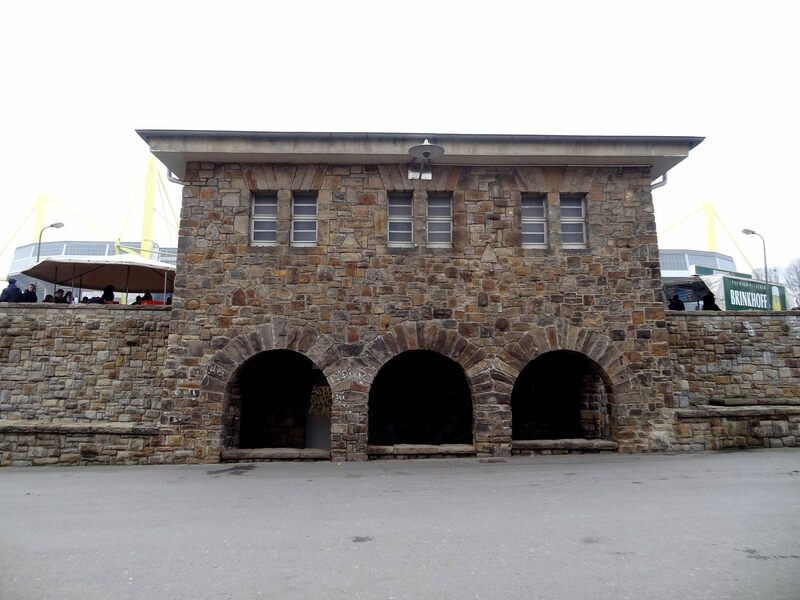 It’s a historical monument, but still in use.